Nephritis or glomerulonephritis is an inflammation of the kidneys and may be discovered by finding protein in the urine, swelling of the body tissues, sometimes blood in the urine, and sometimes high blood pressure. There may be diminished appetite; headaches, sleep loss, weight loss or weight gain from fluid retention, and eventually more symptoms appear such as nausea, diarrhea, vomiting, enlargement of the abdomen, liver and lung congestion. As the kidneys terminally fail, a “uremic frost” may occur on the skin, followed by convulsions and coma. The frost represents the attempt of the skin to get rid of toxic wastes usually excreted by the kidneys. 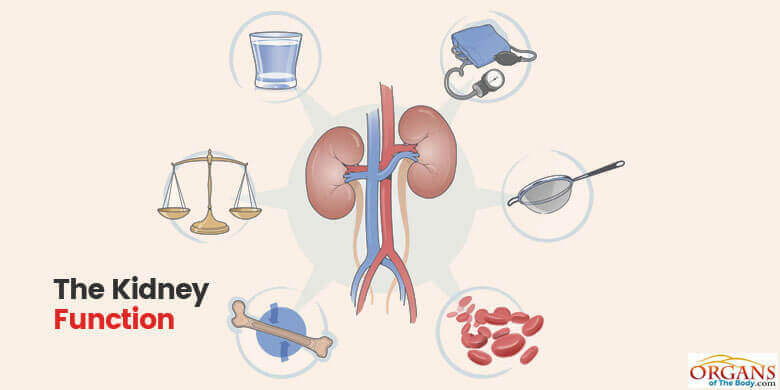 The commonest causes of kidney failure are chronic glomerulonephritis, diabetes, hypertension, collagen diseases, and damage from antibiotics or other drugs or toxins. Treatment should be directed first toward the underlying cause, and at the same time toward protecting and healing the kidney. The first thing is strict adherence to the Eight Natural Laws of Health by being very careful to drink plenty of water, and eat a totally vegetarian diet with careful elimination of all foods high in protein. A high protein diet is damaging to the kidneys. Even beans and nuts should be eaten in small quantities only, and chewed thoroughly. The protein found in soybeans is healing to the kidneys, and one-quarter cup of cooked soybeans should be eaten every day. The majority of the food taken should be from the realm of fruits and vegetables. Whole grains can be eaten in moderate quantities, but all other foods must be taken sparingly. Depending on the kind of nephritis the person has, and the exact location of damage in the kidneys, various nutrients may need to be withheld, such as salt or potassium. This information from a laboratory can be very helpful in regulating the diet. See a standard table of foods and their mineral analyses, and avoid those foods high in the mineral or minerals the kidneys are not excreting well, and are high in the blood. Fasting is good for nephritis. Try a five-day fast if you are well nourished and have nutrient reserves. Break the fast appropriately (see “Fasting”). Then eat regular food for three weeks, then fast another five days. Nerves of the “fight or flight” division of the nervous system give a unique pattern of nerve regulation for the hormones of the kidney. Both sugar and lard are capable of upsetting this delicate regulation. The kidney failure patient should avoid these. Fasting was very helpful to the neurologic control of the kidneys. Inositol when used with choline has been found effective experimentally in at least partially reversing nephritis. Obtain lists of these nutrients from a library. Phytic acid, the raw product from which inositol is extracted, is found in corn, rye, wheat, oats, peas, barley, rice, beans, flax seed, cottonseed, peanuts, and soybeans. Charcoal compresses worn on the back at night remove toxic wastes through the skin. Soaking in water three to four hours a day at about 96-98 degrees, being careful to keep the head cool, can remove toxic wastes through the skin. Retention charcoal enemas and charcoal by mouth can assist in removal of kidney wastes through the intestinal tract in much the same way they are drawn through the skin. Use one heaping tablespoon of powdered charcoal in each cup of water taken by mouth. Keep fresh air circulating in the bedrooms at all times to assist the lungs in removing toxic wastes. Exercise is helpful to keep good circulation of the kidneys. Echinacea and goldenseal have a healing property and are adjuncts to other forms of treatment. In chronic kidney failure due to diabetes, hypertension, nephritis, or toxic substances, the damage to the kidneys is permanent. The above-noted treatments are helpful, but cannot be expected to effect a cure. Kidney dialysis will be essential for life later, but it may be delayed for months or for years. Do not build up unreasonable expectations.